People are dependent on search engines to navigate the web. 93% of all online experiences begin with search, representing a major opportunity for businesses to reach potential new customers who are expressing interest in the products and services they offer. One of the best features of search is that people are telling you exactly what it is they are looking for. If they type “buy pet food” into a search engine, it is a pretty safe bet that they want to buy some pet food! This eliminates guesswork and allows businesses to tailor specific messages to potential customers and direct them to the most pertinent areas of their site based on the customer’s search query. Search engine advertising: Even these paid ads are subject to an algorithm, as the search engine attempts to match the most relevant ad to the specific search terms. Paying the most does not always mean your ad will receive the top spot. Organic search results: These are the results most people think of when they talk about search. A proprietary algorithm determines what order to rank sites for any given search term. Local search results: These are also organic search results, but based on a different algorithm than above. These results are typically displayed when the person is searching for a local business. Product listing ads: These are paid ads, but different from #1. These ads are typically used by ecommerce companies to promote online products, and are again subject to a different search algorithm. Through these different algorithms your business has multiple opportunities to gain visibility when a prospective customer performs a search pertinent to your industry. However, it also means that it can sometimes be complicated to identify where your opportunities lie. There is no single answer as to what is the “best” way to approach search. Every industry and company has different objectives, so first you must identify what you are looking to achieve before devising specific strategies. A strong organic search strategy is important to enable your company to rank in the “main” search results for terms relevant to the products and services you offer. Paid search can then be used to purchase terms which are important business drivers or where the organization does not rank well organically. 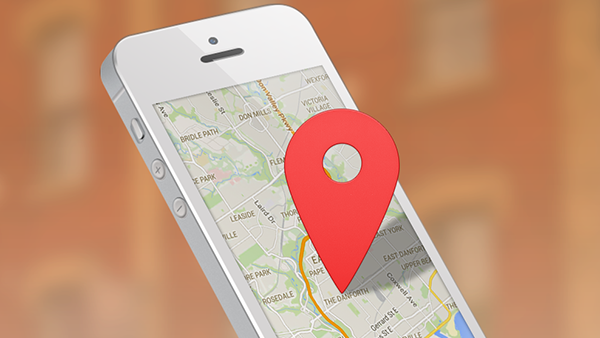 For this particular blog post we will explore one specific area of opportunity: Local search. Although there is no “silver bullet” when it comes to search, in our experience we have found local search to be an exceptionally good opportunity for businesses of all sizes to increase their search visibility. Sales opportunity is high because the people conducting those searches have generally decided that they are going to make a purchase and are actively looking for where they can do so. 4 in 5 people conduct local searches. 94% of smartphone users have searched for local information, and 84% have taken action as a result. People purchase at a higher rate after a local search. On average 7% of non-local searches lead to purchase within a day while 18% of local searches lead to purchase within a day. Given searchers’ high intent to purchase in a relatively short period, we have found great success in attracting new customers and generating new sales through strong visibility in local search results. As frequent readers of our blog are aware, Reshift Media has a great deal of experience working with multi-location businesses and franchise organizations. Through that experience, we have found local search to be incredibly powerful for these types of organizations in particular. Because local search results are displayed when the searcher is explicitly or implicitly looking for a product or service in their area, that means the search engine can only display results for organizations that have a physical address in that vicinity. Because multi-location businesses & franchises typically have many “bricks and mortar” locations, they have a unique opportunity to dominate local searches. Online-only companies with no locations or competitors who aren’t as strong in your operating areas generally cannot match the network power of a franchise organization. A franchise group can combine the scale of its national/regional operations with the footprint of its local locations to gain visibility and crowd out competitors. Optimizing for Google’s local search also enables better ranking for your locations in Google Maps (maps.google.ca) and the Google Maps smartphone app, both of which are used extensively by people looking for local businesses. The first step in optimizing your brand for local search is to ensure Google has accurate information about your business. The search engine can’t accurately index and map information it does not have. Whether you know it or not, Google has already gathered information about your business and your various bricks-and-mortar locations. It is important that you verify the accuracy of this information and take control of it. In order to power its local search results, Google has created a special “Google+” page for almost every business. It is this Google+ (also called Google Places or Google My Business) page that provides the information Google uses to locate your business on maps and rank you on local search results. Try it for yourself – search the name of your business and geography (ex: “Store ABC Toronto”) to view the local search results. Click the link that says “Google+ page” in those local results to access the page Google has created on your behalf. Google’s “standard” page typically has scarce information about your business which Google has aggregated from various corners of the web. As a business owner, you can claim this page and update it with your phone number, address, hours of operation and other information. This will then be used to rank your business in local search. The more information you provide, the better your opportunities to rank for pertinent keywords. The categories section is particularly important, as this is an opportunity for you to explicitly tell Google what area(s) of business you operate in. Choose these categories carefully as they will have a significant impact on what searches your business ranks for. To save time and resources, multi-location businesses can claim and manage all of their pages via a “batch process” which can be accessed via the Google My Business dashboard (www.google.com/business). Claiming and optimizing your Google+ page is only the first (although very important) step. 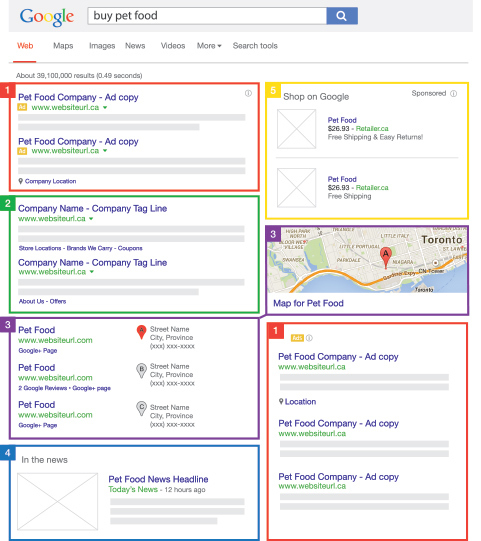 There are more in-depth strategies which can be pursued to help your site index for local searches which we will cover in subsequent blog posts.